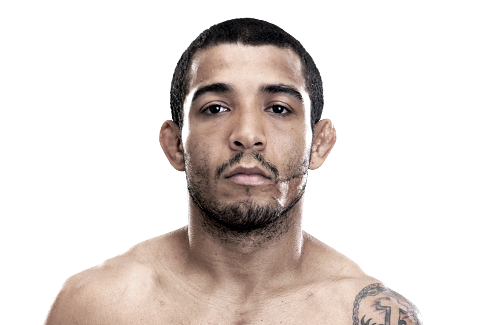 José Aldo was born on September 9, 1986, in Manaus, Brazil. As an infant, Aldo was dropped onto a barbecue by his older sister, leaving a permanent scar on the left side of his face. Throughout his infant years, he was keen on football and wanted to become a professional. His aspirations were supported by his father. But Aldo grew tired of getting beaten up in fights on the street, thus starting to train capoeira to learn ways to defend himself better in brawls. Aldo used to train capoeira on the streets after the classes, once gaining attention of a Brazilian jiu-jitsu trainer. He invited Aldo to try one session of jiu-jitsu and after the session, Aldo decided to leave capoeira to start training jiu-jitsu. At the age of 17, Aldo moved from Manaus to Rio de Janeiro having only his clothes with him and determination to train mixed martial arts there until he achieved something in the sport. He is a teammate and training partner of former UFC Bantamweight champion Renan Barão at Nova União. Known by the nickname “Junior”, José Aldo da Silva Oliveira Júnior fought his first professional MMA fight at the age of 17 at EcoFight 1 on August 10, 2004. He fought fellow countryman and newcomer Mário Bigola, whom he defeated by knockout in just 16 seconds into the first round. It would be Bigola’s first and only professional fight. Aldo fought fellow Brazilian Hudson Rocha, in his second fight for Shooto Brazil. The fight was ended by doctor stoppage at the end of the first round due to a cut over Rocha’s left eye, which was caused by a flying knee thrown by Aldo followed by a barrage of punches. Rocha was able to get back to his feet only to be met with more strikes and a knee before Aldo kicked his legs out from under him. Five months later he fought MMA neophyte Luiz de Paula at Shooto – Brazil 7. Aldo took de Paula down in the clinch early on in the fight. He quickly gained mount, where he rained down punches before transitioning to an arm-triangle choke, forcing de Paula to tap at 1:54 of the first round. Aldo spent the next several years jumping from organization to organization. He next fought Vale Tudo and Shooto veteran Aritano Silva Barbosa, who had lost four of his last five fights, at Rio MMA Challenge 1 on May 12, 2005. Aldo landed two knees to the chin of Barbosa in the opening seconds of the fight, sending him to the canvas where Aldo swarmed with punches. Barbosa attempted a single leg takedown, but Aldo pulled away and threw two soccer kicks to the prone Barbosa before the referee stopped the fight at twenty seconds of the first round, awarding Aldo the victory via knockout. Less than two months later Aldo fought newcomer Anderson Silvério at Meca World Vale Tudo 12. He also defeated Silvério with soccer kicks, 8:33 into the first round. Aldo then traveled to England, where he fought Micky Young at FX3- Battle of Britain on October 15, 2005. He defeated Young just 1:05 into the first round by TKO (punches). Only a month later, in November 2005, Aldo went up a weight class to lightweight and fought respected Luta Livre black belt Luciano Azevedo at Jungle Fight 5. Aldo won the first round, winning most of the exchanges with solid combinations and leg kicks and stuffing Azevedo’s numerous takedown attempts (he was nearly taken down early in the round, but appeared to purposefully fall out of the ropes to force a restart from the referee), as well as landing a solid knee as Azevedo went for a takedown. Aldo shrugged off Azevedo’s first few takedown attempts in the second, but was eventually taken down against the ropes by a double leg. Aldo raised his hips up looking for triangles and other submissions, but Azevedo easily defended. 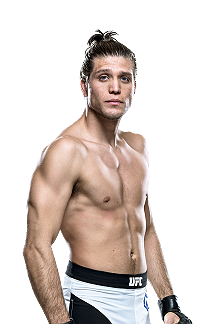 Azevedo soon passed to half-guard and side control. He then transitioned to full mount. Aldo quickly gave up his back and rolled into the ropes. The referee restarted the fight in the center of the ring, where Azevedo locked his legs around Aldo in a body triangle. Aldo controlled Azevedo’s hands for several seconds before falling back into the corner of the ring, where Azevedo was able to secure the fight-ending rear-naked choke 3:37 into round two. The loss was Aldo’s first as a professional. Aldo rebounded in his next fight, returning to featherweight against the then-undefeated Thiago “Minu” Meller at Gold Fighters Championship I on May 20, 2006, winning a unanimous decision in a very close fight. Round one could have gone either way, with Aldo getting two takedowns (both times getting into half-guard) and cutting Meller’s right eyebrow with a left hand. Meller went for two armbars, nearly hyper-extending Aldo’s right arm in the first attempt before Aldo was able to escape. Aldo won a lackluster round two, again taking Meller down and landing some hammerfists. A seemingly exhausted Aldo stalled against the ropes much of the third round, holding Meller in the clinch. Both landed some solid strikes in the few exchanges there were in the round. In his last bout before joining the WEC, Aldo fought Pancrase veteran Shoji Maruyama in the Pancrase 2007 Neo-Blood Tournament Finals. Aldo won a unanimous decision, dominating Maruyama standing and on the ground. In the first exchange, Aldo landed a front kick to Maruyama’s body, sending him to the canvas. He was able to land the cleaner shots in exchanges, where he connected with leg kicks and knees while in the clinch. He took Maruyama down almost at will with trips and body-locks; whereas Maruyama failed in all his attempts to get Aldo to the mat. On the ground Aldo was able to get side control as well as top and back mount. Aldo made his debut for mixed martial arts promoter World Extreme Cagefighting on June 1, 2008 at the Arco Arena in Sacramento, California. In his debut with the organization he defeated renowned fighter Alexandre Franca Nogueira at WEC 34. Aldo won his fight on June 7, 2009 at WEC 41 against Cub Swanson via double flying knee eight seconds into the first round. Aldo won the WEC Featherweight Championship against Mike Brown on November 18, 2009 at WEC 44. He won by TKO in the second round. He was able to get Brown in the back mount, where he landed a barrage of punches, ending the fight at 1:20 of the round. José Aldo was the recipient of Fighter of the Year accolades for 2009 from both MMA Live and Sherdog.com. Aldo faced former title holder Urijah Faber on April 24, 2010 at WEC 48. Aldo defeated Faber via unanimous decision (49–45, 49–45, and 50–45). Aldo was able to use effective leg and body kicks (a total of thirty-two) to stifle Faber, sending him to the canvas several times with solid kicks. For the remaining 1:40 of the fourth round Aldo trapped Faber in the crucifix, peppering him with punches and elbows. Aldo did not engage most of the fifth (although he did land a body shot that nearly crumpled Faber). This was Aldo’s first decision win in his WEC career. Aldo defended his title against Manvel Gamburyan by KO at 1:32 of the second round on September 30, 2010 at WEC 51. Aldo and his camp have often mentioned his desire to eventually make the move up in weight to the lightweight division (155-pound limit). Having rolled through all of his opposition in the WEC featherweight class, the UFC offered Aldo a fight against Kenny Florian, who has challenged for the UFC lightweight title. Aldo and his camp declined the fight, instead deciding to remain at featherweight for the time being to defend his WEC belt. On October 28, 2010, World Extreme Cagefighting merged with the Ultimate Fighting Championship. As part of the merger, all WEC fighters were transferred to the UFC. Aldo became the inaugural UFC Featherweight Champion, receiving the first ever UFC featherweight title belt on Saturday, November 20, 2010. His first defense was set to take place at UFC 125 against Josh Grispi. Aldo was forced to withdraw from UFC 125 after suffering a neck injury. Aldo made his first title defense against Mark Hominick on April 30, 2011, at UFC 129 by defeating the Canadian by a unanimous decision in a bout that earned Fight of the Night honors. Aldo had his second title defense against Kenny Florian on October 8, 2011, at UFC 136, where he won by unanimous decision. Aldo next faced Chad Mendes on January 14, 2012, at UFC 142, Aldo won via KO in the final second of the first round. After a series of injuries and opponent change-ups, Aldo faced former UFC Lightweight Champion Frankie Edgar at UFC 156. Aldo retained his belt via unanimous decision (49–46, 49–46, and 48–47). The performance earned both participants Fight of the Night honors. This performance resulted in Aldo setting the record for most championship bouts, including his original title plus three defences. Aldo was expected to face Anthony Pettis on August 3, 2013, at UFC 163. However, in mid-June Pettis pulled out of the bout citing a knee injury and was replaced by Chan Sung Jung. Aldo defeated Jung via fourth-round TKO, finishing Jung with a flurry of strikes after Jung suffered a dislocated shoulder while throwing an overhand right. On February 1, 2014, at UFC 169 Aldo defended his title by defeating Ricardo Lamas by unanimous decision (49–46, 49–46, and 49–46). Aldo again was in talks to fight Pettis after defending his title against Lamas. At the post-fight press conference, Aldo expressed interest to move up and fight Pettis at 155 lbs. However, those plans were quickly refuted as Pettis was selected to serve as a coach on The Ultimate Fighter 20. 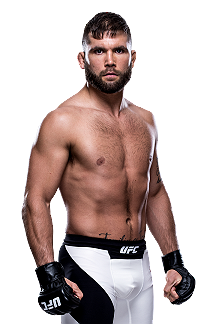 A rematch with Chad Mendes was expected to take place on August 2, 2014, in the event headliner at UFC 176. However, in early July, Aldo pulled out of the bout with an injury. The rematch with Mendes was subsequently rescheduled and took place for October 25, 2014 at UFC 179. Despite getting dropped in the first round and being rocked in the third, Aldo scored two knockdowns of his own, one in the first and the other in the third and also rocked Mendes throughout the fight, winning four of the five rounds in the eyes of the judges thus taking the fight by unanimous decision (49–46, 49–46, and 49–46). The win also earned him his third Fight of the Night bonus award, and was selected Fight of the Year by multiple MMA outlets. Aldo was scheduled to face Conor McGregor on July 11, 2015, at UFC 189. On June 30, Aldo pulled out of the fight due to a rib injury. Chad Mendes took his place and was defeated by McGregor for an interim title. Aldo faced McGregor in a title unification match on December 12, 2015, at UFC 194. He lost the fight via knockout 13 seconds into the first round, resulting in his first defeat in over ten years and his first ever loss at featherweight, ending a 25-win streak in the division. Aldo faced Frankie Edgar in a rematch on July 9, 2016, at UFC 200 for the interim UFC Featherweight Championship. Aldo won the fight by unanimous decision (49–46, 49–46, and 48–47). On November 26, 2016, reigning UFC Featherweight Champion Conor McGregor was stripped of the title after winning the UFC Lightweight Championship, having never defended the Featherweight belt since he won it in December 2015. As a result, Aldo was promoted to Featherweight Champion. Aldo faced interim featherweight champion Max Holloway in a title unification bout on June 3, 2017, in the main event at UFC 212. After winning the first two rounds on all three judges scorecards, he lost the fight by TKO in the third round. Despite the loss, the fight earned Aldo his fourth Fight of the Night bonus award. This was Aldo’s 3rd loss in his 29 fight career. Aldo was scheduled to face Ricardo Lamas on December 16, 2017, at UFC on Fox: Lawler vs. dos Anjos. However, Aldo was pulled from the bout in favour of a rematch with Holloway two weeks earlier at UFC 218, replacing an injured Frankie Edgar. Similar to the first fight, Aldo found early success in the opening rounds before slowing down and losing the fight via TKO once again in the third round. Aldo faced Jeremy Stephens at UFC on Fox 30 on July 28, 2018. The fight was Aldo’s first non-title (three round) fight in over nine years. Aldo won the fight by TKO after a left hook to the body rendered Stephens incapable of continuing. This win earned him the Performance of the Nightaward. Aldo faced Renato Moicano on February 2, 2019 in the co-main event at UFC Fight Night 144. He won the fight via TKO in the second round. This win earned him the Performance of the Night award. Aldo is scheduled to face Alexander Volkanovski at UFC 237 on May 11, 2019, in Rio de Janeiro, Brazil. The bout is expected to be Aldo’s second last of his career, with one more fight to come in São Paulo later in 2019.